For decades Greece has been an almost universally adored holiday destination. There’s something about its combination of sparkling sunshine, idyllic beaches, crumbling ruins and thrumming nightlife that appeals to holidaymakers of almost any age. Not only does it offer up incredible holiday fodder, but it’s also hugely welcoming of LGBT travellers. In fact, it’s ranked number 15 out of 49 European countries for its equal treatment of the LGBT community, and is considered one of the most progressive countries in South-Eastern Europe. So, get packing – we’re off to Greece’s most gay and lesbian-friendly destinations. Possibly the most gay-friendly Greek Island, Mykonos‘ beaches and nightclubs draw in thousands of LGBT travellers with its charms every year. The island boasts several gay clubs – mainly scattered around Mykonos Town – and gay-friendly beaches and hotels. Head to Jackie O’ Beach club or Elia Beach, which are both hugely popular with LGBT travellers. If you really want to get in the spirit of things, visit for the XLSIOR Festival in August, which bills itself as ‘one of the most exclusive international summer gay festivals in the world’. 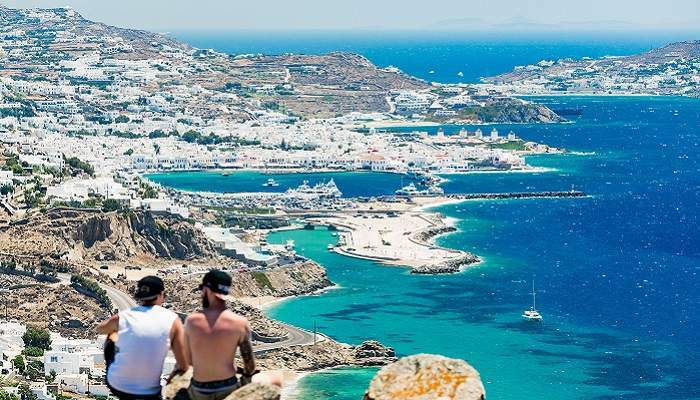 An increasingly large number of LGBT visitors are heading to the beautiful island of Crete – in fact, it’s thought that more gay and lesbian travellers have visited it in recent years than Mykonos. As you’d expect from the largest of the Greek Islands, there are plenty of LGBT-friendly places to head on Crete. Heraklion, Chania and Rethymnon are some of the most welcoming towns. 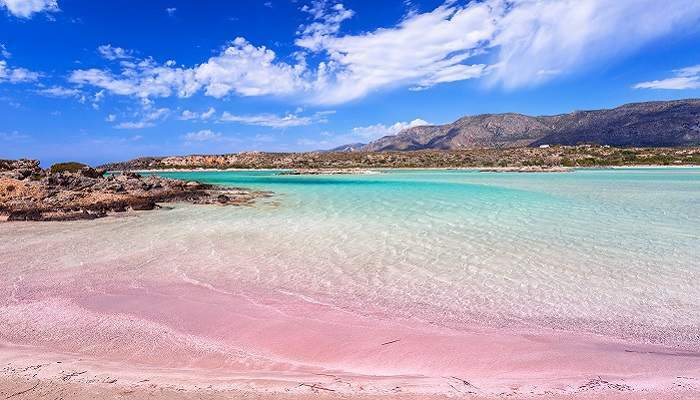 No holiday to Crete is complete without a visit to one of its beaches – and the island has several gay beaches where you can party, swim and sunbathe in a safe space. These include Sarantari Beach, Komos Beach and Kavros Beach. Come June or July, depending on the year, the island hosts its gay pride festival and there are plenty of gay-friendly hotels dotted across its mass! If you prefer city breaks and history on your overseas jaunts, Athens might be up your alley – plus it’s where you’ll find the country’s largest and most liberal gay scene. For your fix head to Gazi, which is one of the most popular neighbourhoods for gay and gay-friendly venues. Konstantinoupoleos and Triptolemou streets are great places to start, with stacks of LGBT-friendly bars and clubs, as well as spas and saunas. 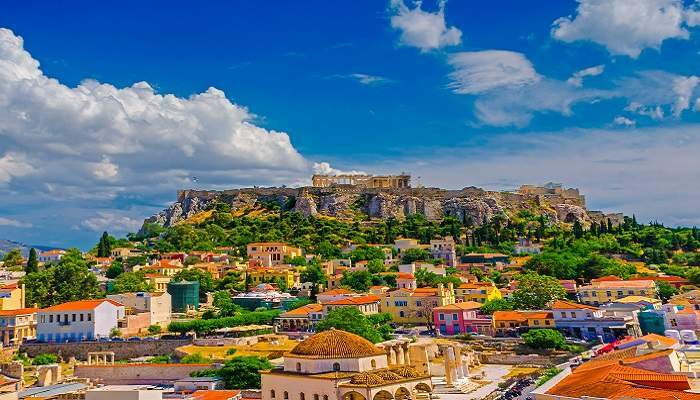 By day, visit historic monuments like the Acropolis for a taste of ancient Greece. Here’s one for the couples! 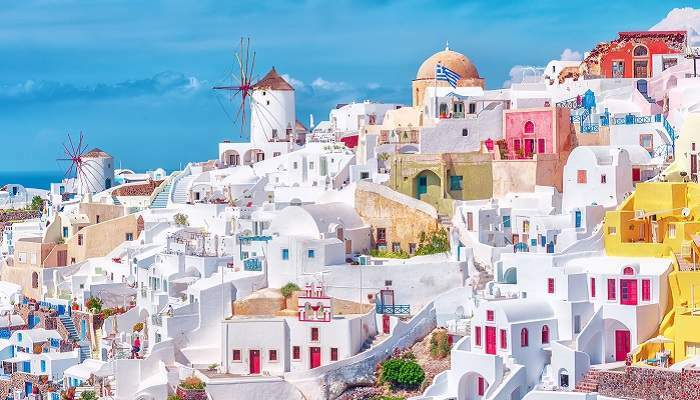 Santorini is one of the most romantic places on Earth – and for good reason. It’s all cliffs and mountains, dotted with whitewashed houses tumbling down to the ocean, and fiery sunsets in the evenings. It’s less about cruising in clubs here, and more about spending time with somebody you already love, whether you’re on a honeymoon or an anniversary holiday. There are several gay-friendly bars on the island, especially around the island’s capital of Fira. Or, head down to Vlychada Beach, which is the most-loved gay beach in Santorini. After Mykonos, Skiathos was the second Greek Island to develop a strong LGBT-friendly tourism industry. 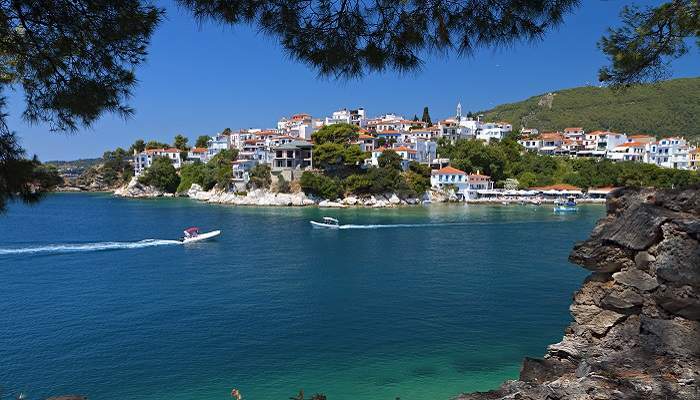 There are several gorgeous sandy beaches that are gay-friendly and a generous selection of gay and lesbian bars, mainly concentrated in Skiathos Town. The island is famous for sunsets that rival Santorini’s, making it a great alternative to its more famous counterpart.